Barbizon Lighting Company Blog: Could Your Company be the Target of a Production Equipment Theft Ring? 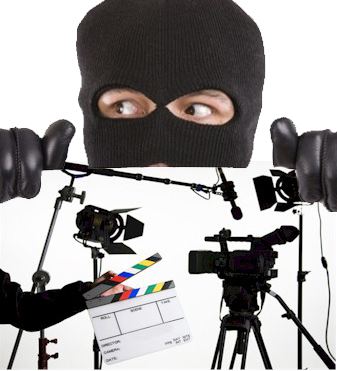 Could Your Company be the Target of a Production Equipment Theft Ring? Over the past few weeks there has been an extraordinary spike in the number of attempted and actual thefts (including equipment taken by fraud). These have occurred in New York, Vancouver, Los Angeles, Atlanta, Portland, Boston, Miami, Seattle, London, Amsterdam, Frankfurt, and Johannesburg! Please be extremely vigilant. The Production Equipment Rental Group (PERG) serves the film and digital community within PLASA. PERG shines a light on the challenges and opportunities faced by professional rental companies. It focuses the collective expertise of its members to shape solutions that best serve us all. PERG strives to be the voice of the motion picture equipment rental industry and set a standard of operations and ethical behavior. PERG's main focus is rental companies that offer cameras, grip and lighting equipment to the motion picture, television and commercial production market. Any member of PLASA working in these market sectors may become a member of the Production Equipment Rental Group by contacting PERG Manager, Harry Box, at harry.box@plasa.org.